Stakeholder engagement seems to be the latest buzz in government. Many agencies are grappling with what it means, where to use it and how to implement it. At Ethos it’s not just a fad, but at the core of all we do. We believe that by having an engagement mindset, organizations reap significant rewards, including a higher likelihood of program success. But where do you start? 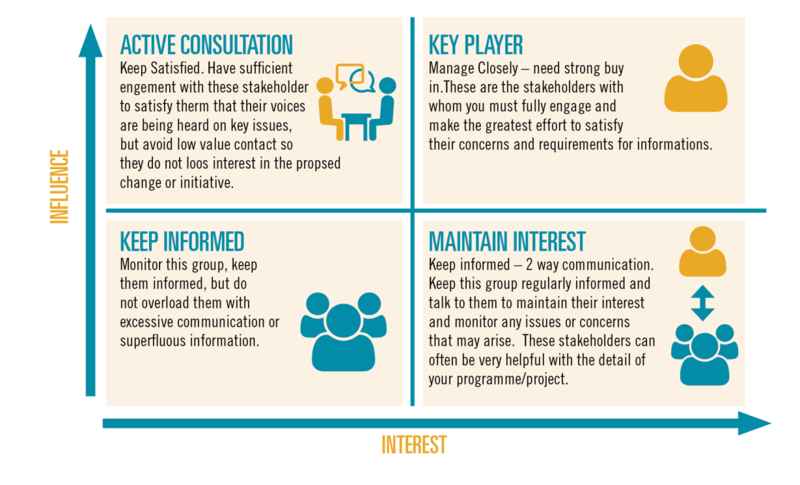 This is a question we often get so we are sharing four steps to get your started on the road to stakeholder engagement. 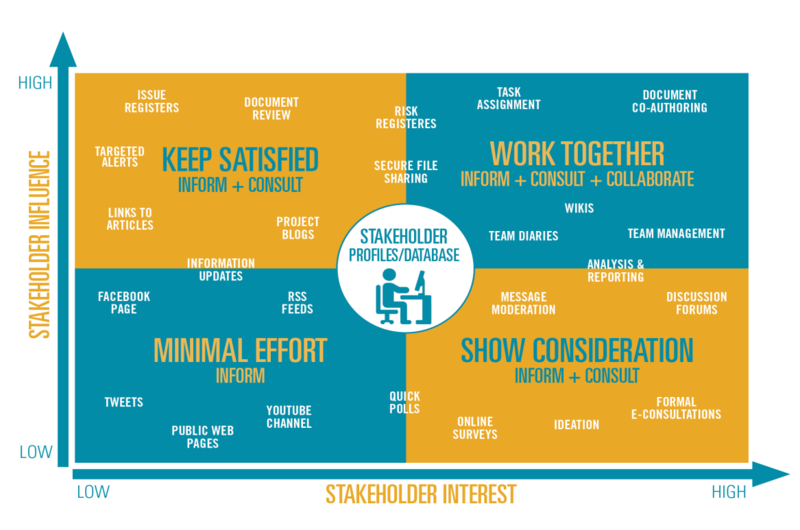 Who are your stakeholders? Start with a clean whiteboard and brainstorm all the groups that your program impacts as well as what groups and people impact your direction funding and ability to be successful. Reach out and touch your stakeholder! Interview them, survey them, hold feedback sessions and go out and meet with them where they live and work. Try to understand what motivates these groups. What do they think about your organization and programs? Who influences their opinions generally? How do they want to receive information from you? This work takes time, but you may be surprised how much your perspective and approach may change when you get out of your office and talk to your stakeholders. Now that you know your stakeholders better, you can begin to categorize them by how they impact your organization. We like to think about level of interest and level and influence. This will help you later determine how best to engage them and what communication channels are most helpful in reaching them. Now you are ready to begin to build your plan. You will want to identify your major goals and key messages and determine which groups you target in which order. You will also need to determine what type of communication vehicles you will use according to the stakeholder mapping you did previously. Below is an example of different methods you might use with different stakeholders. Step 4: Engage, Engage, Engage! Once the plan is in place it’s time to execute. 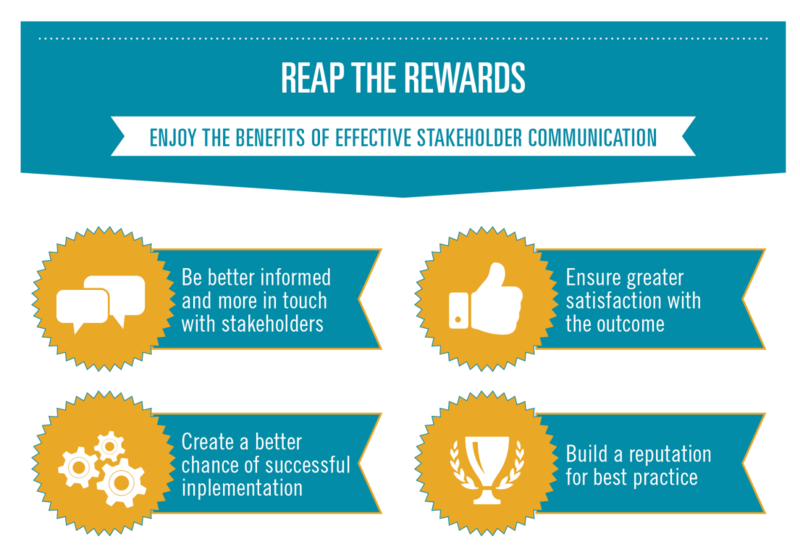 This means continuing to talk to your stakeholders. But real engagement happens when you listen. This means making sure your programs reflect their needs and that you are committed to seeing through their eyes.